If you own an Italian Greyhound have you considered what would happen to your Italian Greyhound if you were suddenly incapacitated and unable to provide the care that your dog needs? We recommend to all Italian Greyhound and dog owners that you should plan for every eventuality. Make an emergency care plan for your IG and make sure that your friends and family are aware of what that plan is. If you do not think that the breeder of your dog, your family or friends are able to provide the care that your IG needs you can plan ahead to place your Italian Greyhound into our care in an emergency situation. 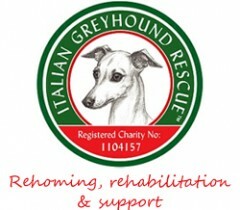 Simply download the form below, complete it and return a copy to the Italian Greyhound Rescue Charity. You should also inform your family and friends that you have made these arrangements so that they know who to contact in an emergency.